Home » Christ is Risen! Happy Easter! In these harsh times, being a devout Christian in the West has become a real martyrdom. The people of Europe and North America have found themselves between the treachery of their own government and an invasion of foreigners, who are eager to destroy the remnants of the West. Difficult times demand daring courage from all of us. Only the return of Europe to its Christian roots will help save the civilization from total collapse. Only after the majority of Western people understand that the modern world is dying because of its secularization, will the process of liberation begin. Before this time comes, we pray that all the Christians will stand strong in the face of the approaching evil. 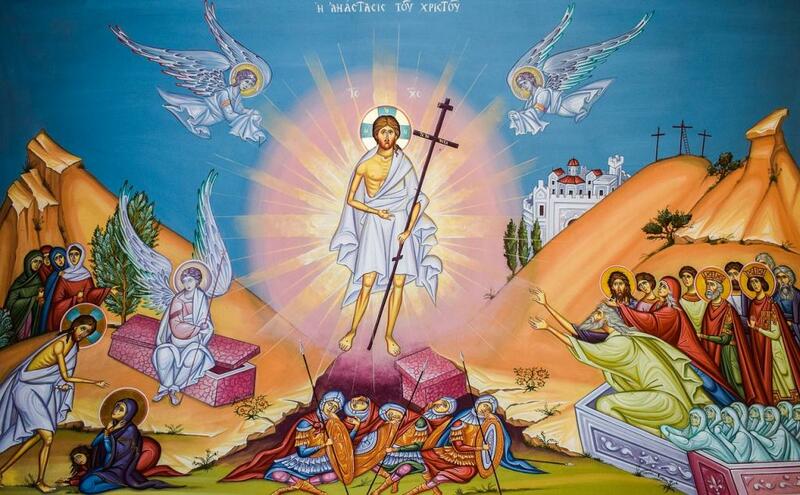 We at Katehon congratulate you on the Resurrection of our Lord and Saviour Jesus Christ. May he guide you through the darkness of the modern world. He defeated hell and he is the only one who can save us today. Happy Easter!